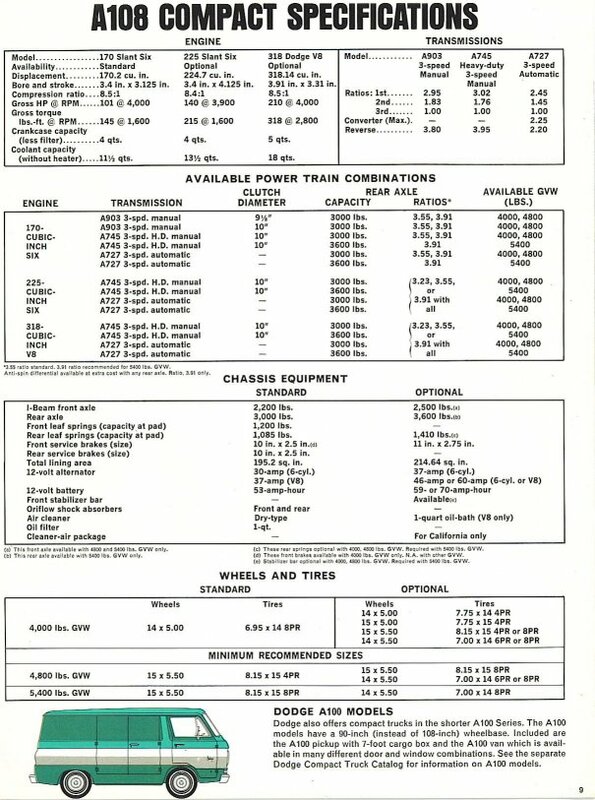 Displayed below is the last page (spec sheet) for a Dodge A108 brochure. To see the first part of this brochure CLICK HERE. 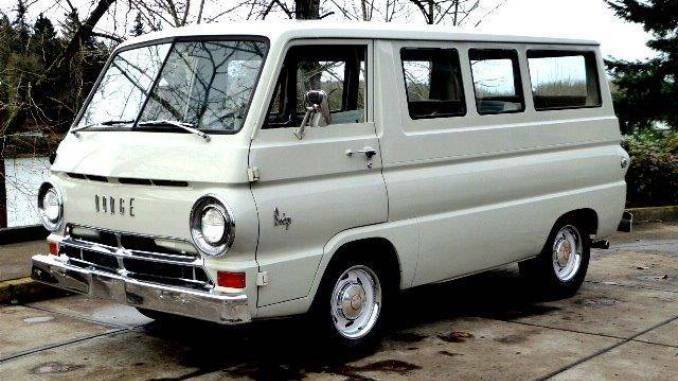 This is the last page of the Dodge A108 “Extended Wheelbase Compact” Brochure which sums of the rest of the brochure facts and figures into clean simple tables. It includes engine, transmissions, powertrain combinations, chassis equipment and wheels and tires technical data.